World-renowned Swedish reggae star Million Stylez got his big break in 2006 with the massive dancehall hit Miss Fatty. Since then he has toured the world and dropped two albums – From a Far in 2007 and Everyday in 2010. And now he has a third album out on the streets. Million Stylez has been moving towards roots reggae for several years and Revelation Time is his most cultural and conscious album yet. The album collects only a few dancefloor pleasers and is a reflective set offering more food for thought than his previous releases. A broad range of producers from around the globe have been involved – including Notis, Dreadsquad and Damalistik – and Million Stylez offers a broad palette of rootsy reggae, ranging from the dreamy The Struggle and the slick Waiting via the bouncy Mr. Williamz combination Can’t Stop the Youths to the tough Bounty Killer collaboration Equal Rights & Justice. With guest performers like Lutan Fyah, Bounty Killer, Peetah Morgan and Mr. Williamz it’s clear that Million Stylez is a well-respected artist still gaining worldwide attention. 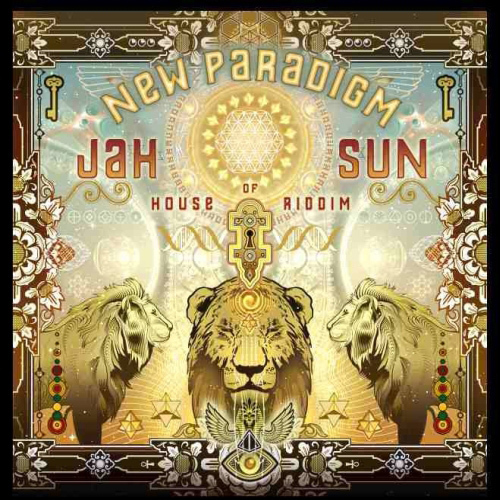 For his brand new album New Paradigm U.S. reggae singjay Jah Sun has teamed up with Austria-based record label House of Riddim. On the 16 track set they have invited an impressive roster of contemporary reggae artists from Jamaica and Europe – Dre Island, Million Stylez, I-Octane, Randy Valentine, Nikki Burt and Charly B. House of Riddim has produced all tracks, which is rather unusual in reggae, and the album is solid, cohesive and firmly rooted in contemporary and up-tempo one drop reggae. Jah Sun sings, deejays and even showcases his rapping skills on a few tracks. Best of the bunch are album opener New Paradigm, the Dre Island combination Carry On, with its dramatic strings, and the fist pumping Morning Sun, complete with intense horns and punky energy. Included are also a few radio-friendly cuts, for example the slick I-Octane combination Peace Cry and Only Human, a cut sounding a bit like Paul Simon’s pop reggae smash hit You Can Call Me Al from the mid-80s. Jah Sun is definitely a force to be reckoned with –as he also has proven on previous sets, particularly the excellent Rise as One – but this album means no paradigm shift in reggae; it’s actually rather traditional and the sound of reggae will probably stay the same. Three years ago I interviewed internationally-renowned Swedish singer and former rapper Million Stylez. The interview was supposed to have been published in Woofah, but last year I found out that the magazine would cease its business. Instead of just throwing away a few hours of work I contacted Million Stylez again to complement the piece with some of his most recent and upcoming projects, including two EP’s and one album. Check the full story over at United Reggae. During 2012 there have been several efforts to celebrate Jamaica’s 50 years of independence from British govern. Concerts, albums and songs are some of the events that have occurred. Together with United Reggae I have asked a bunch of reggae artists, producers and label owners to share their view on the history and future of reggae music. We received many answers, ranging from acclaimed veterans such as BB Seaton, Sly Dunbar and Bunny Rugs, but also from more up and coming producers and singers, including Million Stylez, Mista Savona and Etana. Most of the people we asked share the same view – reggae has had a huge impact on music makers around the world and that the future looks bright. But you can find out for yourself and draw your own conclusions when checking the 20 stories over at United Reggae. J Boog’s Let’s do it Again and Coldest Zone on Don Corleon’s Major and Bost & Bim’s Hustlin’ riddims respectively were two of the biggest highlights from last year. And he has continued in the same strong vein ever since. The smooth Waiting on the Rain and the bouncy I’m Fallen – again for Don Corleon – as well as the self-titled EP has all been strong efforts. Now J Boog’s debut album Backyard Boogie has dropped, and the big question is if he can maintain his high standard and live up to the huge expectations. The answer is yes. Backyard Boogie is a strong, often radio-friendly, album from start to finish. It contains mostly exclusives and is generally in the modern one drop reggae vein with one excursion into ska – the Peetah Morgan duet Sunshine Girl. 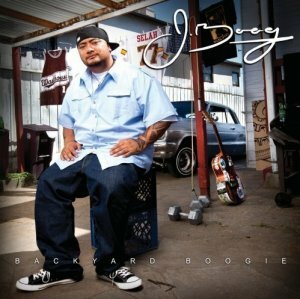 J Boog is a fine singer with a hoarse yet soft ring in his voice. 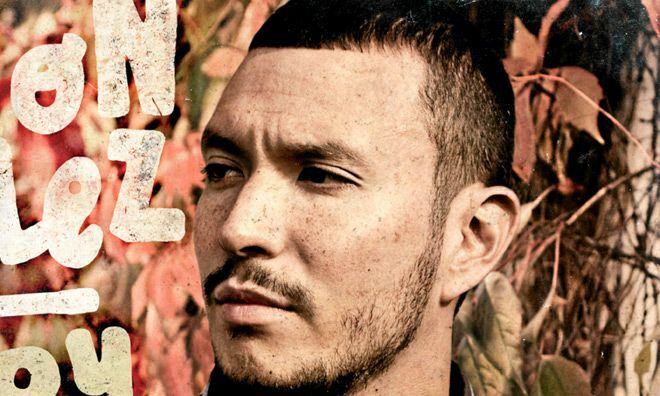 He is comfortable with both up-tempo cuts, such as the Million Stylez duet Replay on Bost & Bim’s Marvel riddim, or the R&B flavored Take it Slow, a tune reminiscent of Lost Without You by Grammy Award winner Robin Thicke. Other highlights include the ganja anthem Hawaiian Pakalolo, built on Sly & Robbie’s Taxi riddim and utilizing lyrics from Josey Wales’ It Haffi Bun, and the Tarrus Riley duet She Give Me Lovin’ with its funky saxophone. My fiancée summed up the album well the other day when she said “this is good music”. Agreed. On Friday it’s time for a two day reggae festival on the beautiful island of Öland in the southern part of Sweden. Öland Roots started in 2004 as a reaction to the few cultural activities taking place on the island. During the past seven years several Jamaican artists have performed on the festival. Fantan Mojah, Michael Rose and Konshens are only a few of the acclaimed singers and deejays that have performed in the woods next to the beach. And 2011 is no exception. The promoters have managed to book more international artists than ever before. Etana, T’Nez, Junior Kelly, Mark Wonder and Queen Omega come from the Caribbean. Alongside them there are several Swedish artists that have managed to rock the international reggae scene. Among them Million Stylez, Joey Fever and Hanouneh. I’m psyched. Extremely psyched actually. To keep me sane I’ve compiled a playlist in Spotify with some of my favorite tracks from a bunch of this year’s artists. You’ll find some big tunes here. What about Tough Life from Junior Kelly, Move From On Yah by Million Stylez or Queen Omega’s Jah Dawta. Check out the playlist by clicking this link, and hope to see you on Öland this weekend. Swedish super talent Million Stylez has recently dropped two tunes in a ganja style. In October he released Move From On Ya, a heavy version of Peter Broggs’ classic International Farmer, produced by French label FuryBass. 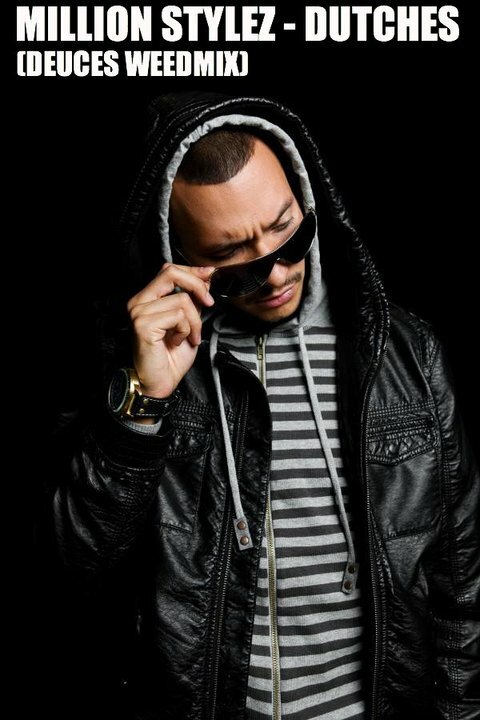 Now Million Stylez drops a new ganja tune called Dutches, a reworking of RnB singer Chris Brown’s mega hit Deuces. Million Stylez relick is quite close to the original version (different lyrics though) and you can also hear him in a rap mode on this one. Many thanks to DJ Shirkhan of Safari Sound for providing Dutches. German reggae blog House of Reggae has produced a tribute mix to Swedish reggae in general and producer/engineer Internal Dread in particular. The mix contains 18 tracks ranging from 2002 up until 2010. Artists include newcomers such as Robert Athill and Mysticman as well as veterans like Desmond Foster and Joseph Beckford. There are also several dub songs included, mixed by the great Internal Dread. Nils Kersten, editor of House of Reggae and producer of the mix, writes in an e-mail that he loves the deep warm analogue sounds of Internal Dread’s production and mixing techniques. − Over the last years some Swedish reggae artists have gone international, like Million Stylez or Serengeti. But I’m more interested in native tongue artists. I found out about Governor Andy, Junior Eric, Syster Sol, Swingkids and Kapten Röd. I love all of them, even if I don’t understand a word. Den andra maj släpper Curtis Lynch, producenten bakom bland annat framgångsrika skivbolaget Necessary Mayhem, första fullängdaren Digital Acoustics. Plattan bygger på material från Curtis Lynch skivbolag Necessary Mayhem, Necessary Classics och nystartade Maroon. Det utlovas också nytt material som spelats in på Jamaica i fjol. Artistlistan ser onekligen intressant ut. Det utlovas bland annat låtar från albumaktuella Busy Signal och Million Stylez samt veteranen Shabba Ranks.